Sunday, October 9, 2016 • 1-4 p.m.
Did you know that light-based technologies promote sustainable development and provide solutions to global challenges in energy, education, agriculture and health? 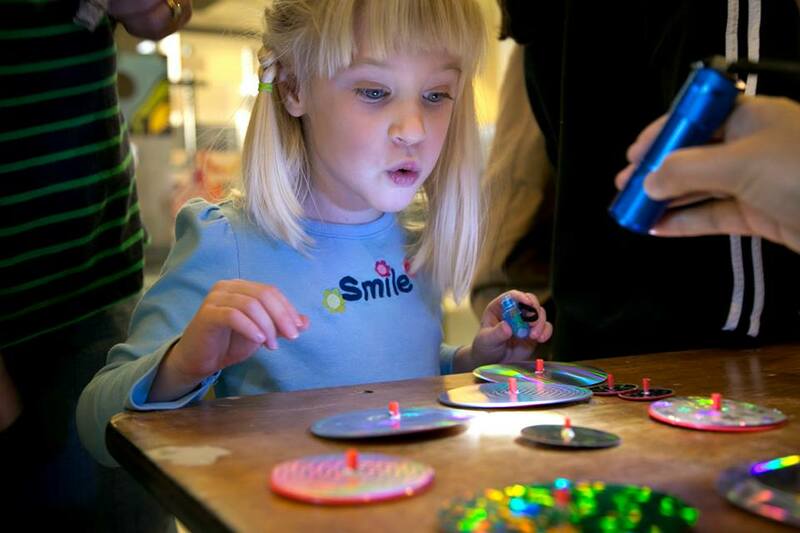 Join Duke’s Fitzpatrick Institute for Photonics for an Open House celebration held in conjunction with IEEE’s “Introduce a Girl to Photonics” Week, and explore the fun and fascinating science and power of light! Light Pipe: Duke Optical Student Chapter (OSA/SPIE) demonstrates how fiber optics work to speed data to your computer, TV and more! Solar Power and Hydrogen Fuel: Discover the future of automotive technologies – a demonstration of how cars can be powered by light. Hiding in Plain Sight: Come investigate materials that emit their own light, like Play-Doh and more, using laser beams. See Cells with a Cell: Check out cells, neurons, and other microscopic objects with a cell phone microscope – a novel technology that's like having a lab in your pocket! 3D Printers: See how they work and learn more about digital fabrication. Photo Booth: Try on a clean room suit, step into the photo booth and get an instant photo strip of yourself, your family & friends to take home as a souvenir. Innovation Co-Lab: Tour the lab where "if you can dream it, you can build it."